SBA Properties (SBAP) is the worldwide marketing and licensing arm of the SBA. 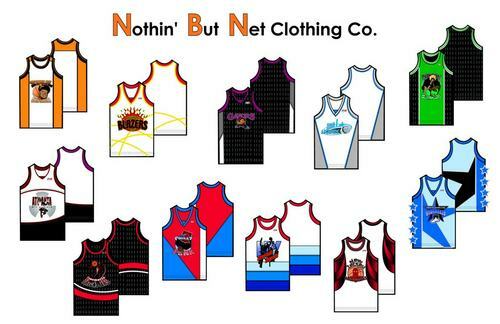 SBAP licenses other companies to manufacture and sell jerseys, shorts, uniforms, warm-ups, other basketball apparel, basketballs, and related street basketball items. SBAP also markets and promotes SBA trademarks through it's licensees, sponsors, and other business partners. The SBAP manages multimedia, publishing, trading cards, internet programming and television and film in the United States and Internationally for the Street Basketball Association. The SBA like the major sporting associations (NBA, NFL, MLB, NHL and NASCAR) has licensed its trademark and logo for retail merchandising. Merchandise for each team and the league will be available through various retail outlets, at SBA games, and the SBA’s website. The SBA will provide several items of merchandise and expects to brand the league with modest but consistent sales of its merchandise. Several retail outlets have expressed interest in selling SBA merchandise and the website already has strong activity statistics. The SBA reserves the right to merchandise the likeness of its brand and players. The SBA will give licenses to organization that intend to use the SBA’s logo and/or likeness for products. Each license will be independent and negotiated based on the use of such license. SBA Properties (SBAP) has the exclusive worldwide right to license for commercial purposes the use of the names, logos, and other identifications of the SBA and each member team. 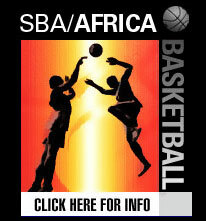 The SBA logos, symbols, emblems, designs, and uniforms are the trademarks of the SBA and are exclusively owned by the Street Basketball Association, LLC (SBA). Merchandise will include: SBA T-Shirts, SBA Shorts, SBA Teams Uniform Jerseys, Shorts, and T-Shirts, SBA Sweatsuits, SBA Headbands, SBA Hats, SBA All-Star Team Jerseys and Shorts, Select SBA All-Star Player Jerseys, and SBA / US Legends Player Jerseys. Along with apparel the SBA offers products such as SBA basketballs and highlight media (DVD and video) for retail. We will continue to work with large companies to produce additional licensed products as we further brand the SBA and street basketball.